Data recovery programs are a boon to those who have lost their data due to some reason that we do not want to know now. All that matters is the deleted data to be retrieved somehow and that’s it. Whether the drive is damaged in error, data loss while formatting, files deleted by accident, due to software crash or ran it through a wash, all you want is your data back. But fret not, as the data that you might have recently deleted and then further cleared from the Recycle Bin are usually still found on the Hard Drives that include USB drive, flash card, smartphones, etc. Here comes the free USB data recovery software to your rescue which can help you recover all your lost data no matter how you lost it. While there are many data programs available that can help you to retrieve your data efficiently, we have listed the best free USB data recovery software for Windows today that will hand over your data to you equally efficiently with no costs attached. So let’s take a quick look. Undoubtedly one of the best free data recovery programs, Recuva is an extremely user-friendly and a powerful tool compared to any other free programs or the premium versions. This exceptional tool comes in handy when you are unable to retrieve your lost files even from the Recycle Bin. Talking of its features, it has an interactive interface that asks you the relevant questions related to your concern and works discreetly. Not just that, it keeps updating its Piriform program and is also available in a compact edition which gets rids of the need for the installation procedure, which is a big plus. While it offers a quick typical scan along with a Deep Scan as an alternative to trace the lost data, it also helps retrieve data from different types of hard drives viz. flash cards, iPods, CD/DVD discs and more importantly USB drives. Recuva is compatible with most of the Windows versions that is, Windows XP, Windows Vista, Windows 7, Windows 8-8.1 and Windows 10. Recuva works with drives as large as upto 3TB and is available in 64 bit versions for maximum performance in 64 bit architecture of Windows. The only negative aspects that we could find in Recuva that there is a possibility of the addition of other programs by the installer and the Piriform site offers a complicated page for download. Disk Drill is known for its salient features, but what we also like about it is its user-friendly wizard. Even though some of the functionalities offered by the tool are quite advanced, we must say that they are extremely easy to use and requires least learning curve. This benefit of Disk Drill makes it is a recovery software that can be used by both beginners and experts alike. Disk Drill is an extremely user-friendly tool that helps you to recover files from nearly any storage device that includes memory cards, internal hard drives, external hard drives, USB drives and more. Apart from the quick scan option, it also offers various other scan methods to help you recover your lost files viz. Undelete Protected Data and Deep Scan. It runs through all of the scan methods one at a time till it finds your lost files and all without any charges. You also have the facility to pause the scan and then resume it some other time. The scan findings by the tool can be stored and retrieved at a later time so that you do not have to comb through the files at present. 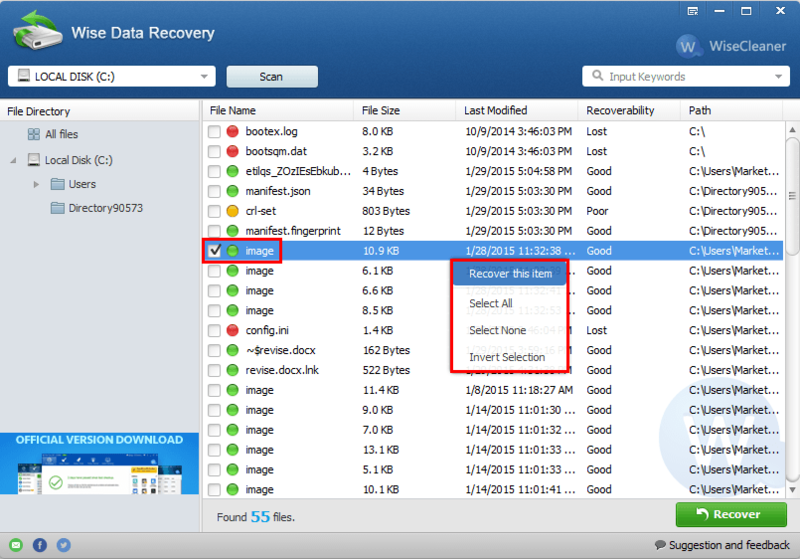 Using the Recovery Vault feature helps you to track the lost data from the files that you mention and arranges them into a particular zone of the program. While it helps find the lost files easily rather than scanning them through the full hard drive, it also keeps your PC protected from any data loss in future. This recovery program can trace data from most of the file types used by the memory cards and the hard drives. It can scan different file types like FAT, NTFS, EXT2/3/4, exFAT and HFS+. While you can conveniently find your files from the results using name, size or date, you can also trace your lost data from the results quite easily as they are arranged in the form of different folders such as Photos, Documents, Archives, Audios and Videos. Additionally, if your USB drive has lost one of the partitions or has been reformatted, but the files are still left in the drive, the program can help you track the design of the old partition and reconstruct it for your files to be retrieved. Overall, Disk Drill is a user- friendly software which is compatible with all recent edition of Windows. However, it does not display the condition of the file before it retrieves it and must be installed only on the hard drive. Pandora Recovery belongs to one of the best data recovery software that is professional, free of cost, easy to use and competent. Even though we must say that its interface appears a bit messy and confusing, the wizard provides an effortless access to users that is easy to comprehend and use. While it offers a comparatively smaller sized download and user-friendly wizard, it also lets you go through the deleted files and have a look at them in advance before you can retrieve them from your computer. It allows you to retrieve deleted data from FAT and NTFS files systems. Whether photos, videos, audio or documents, you can get back all your lost data despite its type and from any connected storage device. Pandora recovery also offers a comparatively advanced Surface Scan feature that helps retrieve more deleted files than the typical scan provided they are of the accepted format. Apart from the USB drives, it also helps recover data from other hard drives like flash card, etc. This program needs to be installed to the hard drive which is plus over the others programs in the category but is not portable. Pandora is compatible with Windows XP, Windows Vista, Server 2000, Server 2003, but is also works smoothly with Windows 7, Windows 8, Windows 10. With Wise Data Recovery you can retrieve lost files like pictures, emails, word documents and text for free. It is an easy to use tool that gets installed in minutes and scans your PC for the deleted files in a jiffy. It can scan different types of USB drives like flash cards and similar other hard drives. While the tool recovers data from both internal hard drives and external hard drives such as, USB drives, iPods, cameras, phones etc., it also organizes all the results in a usual folder just like it is seen in Windows Explorer. This makes it an easy to use tool that helps retrieve your lost data comfortably. As per its website, Wise Data Recovery software saves your time by completing the scanning in a matter of seconds using advanced methods. However, if you want to confine your results and save some more time, you can select the type of undeleted file or even type in the particular keyword prior to the scanning starts. Additionally, the software not just scans for your deleted files, but also helps you evaluate the probability of retrieving them. One it finishes evaluating, it displays the results that include the specifics and the restoring ability of the data before you choose to retrieve them. Since it also comes in a portable version it does not need you to install it while you can use it on your computer without overwriting the hard drive. It is a compact program that is total free of virus and requires very less space to be downloaded. Wise Data Recovery is compatible with mostly all Windows versions for both 32 bit and 64 bit architecture. 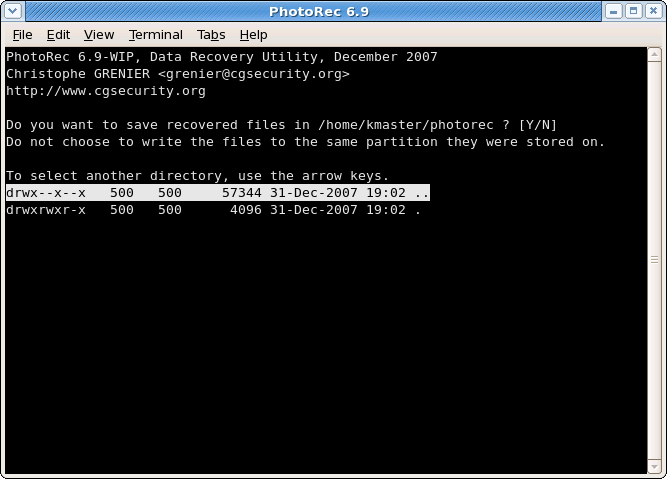 Photo Rec is an open source software with a GNU General Public License that helps you to restore deleted files like, documents, visuals and archives from devices such as, CD-ROMs, hard disks, cameras and different types of USB drives. What we like the most about this program is that it only focuses on the deep-seated data and not the file system. This helps it to still function even when the media file system has crashed or reformatted. Photo Rec is a partner program for TestDisk which works as an application to restore deleted partitions on a wide range of file systems and helps non-functioning disks start-up again. It also ensures added safety by using the read-only input to manage the memory card or the drive where you want to restore your data from. This program can retrieve deleted files from the different file systems viz. NTFS, FAT, HFS+, exFAT and ext2/ext3/ext4. Photo Rec can recover files for CD ROMs, different types of USB devices (memory cards, pen drives, etc. ), iPods and more. It is compatible with most of the Windows versions like, Windows 2000, Windows 2003, Windows 2008, Windows XP, Windows Vista and Windows 7. With one of the most user-friendly interfaces in the category, Glary Undelete is a great free software helps undelete your lost files in minutes. The interface as mentioned is extremely simple, convincing and a cake walk for even the beginners. What is most striking about the tool is that it offers a view which is similar to Windows Explorer’s Folder style. It also points out the “State” for each file that implies the possibility of the recovery of the specified file. This tool helps you to recover lost files from any type of portable media device which includes USB drives, flash cards, etc. and hard drives. It supports different files systems viz. NTFS, NTFS+, FAT and EFS. You can also retrieve deleted files from NTFS which you might have encrypted, shortened, or even split. Moreover, Glary Undelete sorts the results automatically based on size, date of creation and name of the individual file. So once the scan is over, the recovered files are automatically organized on the interface with the related details. In addition to all these benefits, this program occupies smaller space for download, specifies the file state in simple English alongside each lost file and is compatible with most of all Windows versions that include even the latest editions such as, Windows 8 and 10. Apart from the fact that Glary Undelete requires you to install it before you start using it and that it prompts you to install their toolbar (which is optional of course), it is wonderful software for your lost files to be recovered efficiently. 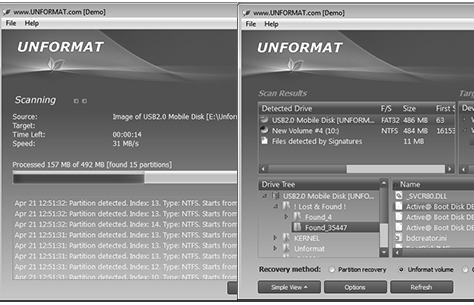 Undelete 360 is a superb data recovery software especially for your USB devices. It allows you to undelete and retrieve files like, images, videos, PDFs, Apps and documents that have been deleted from your PC, camera, recycle bin, or memory cards accidentally. It works with file recovery as well as folder recovery. The software is based on a design that is speedy and competent, and therefore, helps scan, find and eventually retrieve data that have been omitted either unintentionally, due to software crash or due to any virus attack. Apart from these, Undelete 360 can also retrieve files lost when; they are too bulky to find a space in the recycle bin, during network sharing on Windows, from the USB device, you pressed the keys Shift plus Del, used the prompts Move or Cut, built and erased by any apps, or from the command line. Once the program has completed the scan process it displays the results in form of an index. Here you can see that each file is ranked (Overwritten/Good) based on the possibility of whether you will be able to retrieve them. Further, you can classify the results based on the type of the file or the location of the file. You can more details about a specific file with the help of the tabs arranged at the top of the primary interface. Overall, it is an extremely user friendly application, offers good filtering of files, sis pretty quick in scanning and provides wiping functionality for files. 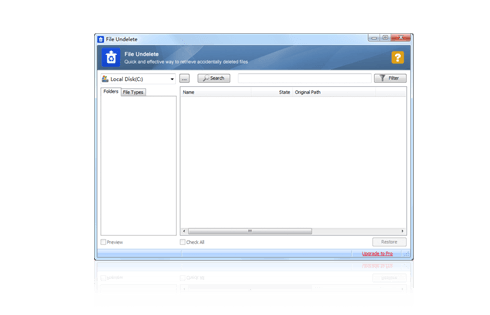 Undelete 360 is compatible with Windows 2000, Windows 2003, Windows 2008, Windows XP, Windows Vista and Windows 7. T supports various file formats like FAT12, FAT16, NTFS, NTFS5 and FAT32. Unformat is an extremely easy to use software that helps you to recover your deleted data on a disk that been erased with the use of the command “FORMAT”. It helps retrieve data lost from different devices like USB drives, Compact Disks and Memory Cards without any charge. It is a software application that has been built to provide solutions for any data loss situation based on the logical breakdown. It can also retrieve files that have been erased from a disk or can recover deleted partitions or rebuild broken partitions along with volumes. White it helps restore hard drives, memory cards, USB drives or SSDs that have been formatted, it also helps restore different file formats like, HFS+, FAT, ZFS, exFAT, UFS, NTFS and Ext2/3/4/BtrFS. Not just that, it can also help restore data from accidentally formatted memory cards used by Smartphones, iPods, digital cameras etc. alongside computer hard drives viz. SSD, SATA, ATA, eSATA, SAS and SCSI. It is undoubtedly one of the best tools in the category that offers a straightforward and a well-planned interface layout, while it helps you to recover data for different types of USB devices and flash drives. It works with most of the Windows version that is, XP/Vista/2003/2008/2012 Servers/ 7 / 8. If you are looking for the right kind of application to help you retrieve lost files from your PC, SoftPerfect File Recovery is one of the best programs that you can lay your hands on. While it is absolutely free of cost, compact (500 KB), requires no installation and does not slow down with irrelevant screens and settings, it also aids you to find your deleted files easily and efficiently. This program helps you to recover data from USB drives, memory cards, hard drives, cameras and more that have been deleted due to software failure, virus attack, formatting, partition damage and any other causes. It works for any of the devices that connect to your computer and stores data excluding CD/DVD-ROMs. SoftPerfect offers two different modes for scanning that is, quick scan and deep scan. While the quick scan helps look for the erased files, deep scan, on the other hand, helps to trace formatted and remote files alongside lost data. You can retrieve lost data such as, photos, visuals, emails, audios, and documents. The scan process can be paused and resumed, and it also saves the data during this process which is even imported so that another recovery can be performed without repeating the scan. It also allows you to preview the files before you proceed to recover them. You can do so by mentioning the type of file that you want to retrieve prior to scanning. You can also filter the results sung file size, name, file type or creation date in order to save time. This is an overall extremely user-friendly application which helps you recover your lost data in just three steps. It is compatible with most of the Windows version that includes Windows 8.1/8/7/Vista/XP/2000 and Windows Server 2012/2008/2003. MiniTool is another data recovery software that can help you restore lost files from SATA disk, Hard Disk, SCSCI disk, external hard disk, memory cards, CD/DVD drives, MP3 players etc. apart from USB drives. Along with data recovery for deleted files, it also helps restore broken partitions, retrieves data from lost partition, from media devices and more. While you can use this tool to recover data deleted from Recycle Bin or with the use of shortcut keys “Shift + Delete”, it is also extremely easy to use, offers high rate of restoration and is compatible with most of the files systems and drives. It works with different file formats like NTFS, FAT12, VFAT, FAT16 and FAT32 and most of the Windows versions. The best part about MiniTool is that it offers different modules that concentrate on lost data recovery such as, Undelete Recovery, Lost Partition Recovery for data recovery from a lost file, Damaged Partition Recovery for file recovery from drives that are broken or formatted, Digital Media Recovery to recover multimedia data from portable devices like, USB drives, and CD/DVD recovery for file/data restoration from CDs or DVDs.